Aiming to attract quality people from around the world in a more effective and focused manner to support Hong Kong’s development as a high value-added and diversified economy, the Talent List, which contains 11 professions, has been drawn up after extensive consultation with the stakeholders. The Talent List highlights specific professions needed most for Hong Kong’s economic development. In order to attract relevant world talents to Hong Kong, immigration facilitation is provided to eligible persons under the Talent List through the Quality Migrant Admission Scheme (QMAS) within its existing annual quota of 1 000. 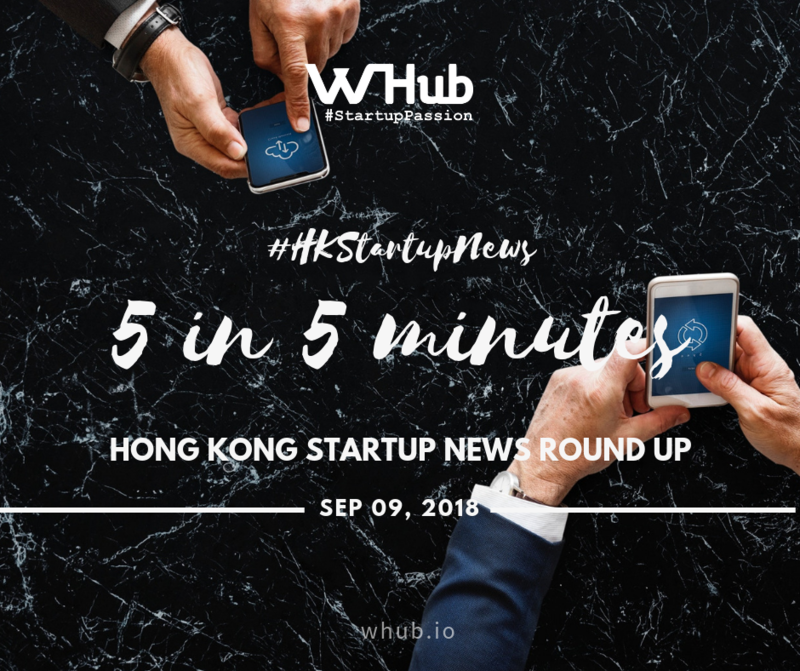 Hong Kong-based crypto startup Crypto.com plans to issue 100,000 cryptocurrency debit cards over the next two months, according to SCMP. Though hardly new in the US and elsewhere, the debit cards would represent something of a novelty in Asia. Crypto.com has applied for a license to issue the cards in Hong Kong but will begin distributing the cards in Singapore, and has plans to reach a global market. Crypto.com's new debit card will apparently be linked to cryptocurrency wallets and fiat accounts, allowing customers to spend their digital currency after converting it to fiat. To date, the platform supports Binance Coin, Bitcoin, Ether, Litecoin, and Crypto.com's own coin, the MCO. These digital currencies can be converted into seven different fiat currencies, including the Hong Kong dollar, the Singapore dollar, and the US dollar. GoGoVan wins China despite "bumpy ride"
GoGoVan co-founder Steven Lam Hoi-yuen faced a steep learning curve after relocating to Beijing from merging with 58 Suyun, the freight business of mainland Chinese online classifieds giant 58 Home, to help ramp up expansion for the combined enterprise in the world’s second largest economy. That move has paid off as the company now operates in more than 300 cities on the mainland, up from around 100 before the merger, to make it one of the biggest players in the country’s highly fragmented intra-city logistics market. Australian-based Tencent-backed payment operator Airwallex has shown interest in joining Hong Kong’s virtual banking push. Airwallex co-founder and chief executive Jacky Zhang said the company will team up with a traditional bank and other local partners as part of the application process, although he declined to reveal their identities. “We believe Hong Kong to be an ideal location to be our headquarters. Hong Kong is an international financial centre where we can serve our global clients worldwide,” Zhang told SCMP in his newly installed office in Quarry Bay. Another reason for the relocation to Hong Kong is proximity to major clients, including Tencent, online travel operator Ctrip, e-commerce giant JD.com as well as traditional lender Bank of East Asia. “Applying for a virtual bank license in Hong Kong would allow us to offer more banking products. The requirement of a virtual bank in Hong Kong is very reasonable as it is capital light,” Zhang said. Meituan Dianping, China’s largest on-demand online service provider, has lined up US$1.5 billion from five cornerstone investors including Oppenheimer, Tencent, and Lansdowne Partners for its upcoming Hong Kong initial public offering (IPO), which could be worth up to US$4.4 billion. The listing would be the city’s second blockbuster tech float this year after Chinese mobile phone maker Xiaomi, and possibly the biggest for an internet services company since Tencent Holdings’ IPO in 2004. But some analysts were concerned about its valuation. “Meituan Dianping has a good story, but the valuation is a bit high given that it has not made a profit yet,” said Martin Ngan, sales director at Hong Kong brokerage Chaoshang Securities. Although start-ups usually have lofty expectations about future growth, Ngan said he was a little doubtful whether Meituan could sustain the same growth rate after having achieved a big market share in China.